Is your ecommerce business spending too much money on a mail server that doesn’t meet your needs? Perhaps it does everything you need it to, but you wonder if a less expensive product would simplify operations and increase your company’s profits. Although Microsoft Exchange has dominated the market for on premise mail servers and instant messaging services, its prohibitive price tag makes it a less attractive option for small businesses and other enterprises seeking to keep costs low. Fortunately, less expensive options exist to provide comparable services at lower prices. One such tool is SmarterMail. Available at reasonable amounts (and free as part of some hosting packages), SmarterMail represents a compelling option for your company’s email and messaging needs. Is it Time for Your Company to Find a New Email Server? Email comprises a vital component of your company’s everyday operations. Information sharing, collaboration, and service delivery take place on a regular basis through email and instant messaging, and when these methods don’t work properly, the results to productivity can be devastating. Excessive spam. When company inboxes are inundated with spam, it reduces productivity and opens the organization up to possible cyber-attacks. If your server isn’t effectively filtering spam, it’s time to consider a new product. System instability. 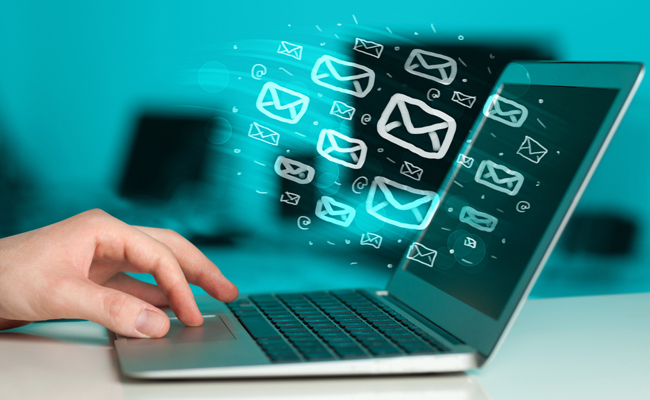 Companies need to depend on their email servers to perform consistently and reliably. Frequent crashes and system failures are clear signs it’s time to make a change. Synchronization issues.The multiple constituents of your company – including colleagues, customers, and other business partners – are likely to use various different operating systems and devices. Whether you’re dealing with internal or external users, having an email server that doesn’t synchronize well with other systems makes for complicated and inefficient operations. Reporting flaws. One of the most crucial components of your email server is its reporting functions. By examining mailbox, server, and domain statistics regarding inbound connections, plus messages delivered and server load, administrators can pinpoint trends, control costs, and direct resources effectively. Are your current email server’s reporting functions telling your administrators what they need to know? SmarterMail can help fill those gaps. High cost. Companies of all sizes must constantly evaluate their strategic allocation of budgetary resources to ensure a healthy bottom line. Spending disproportionate amounts on email servers becomes unnecessary when more cost-effective options would equally or better meet your business needs. What is SmarterMail, and How Can it Help Me? Document management. Anyone who has sent a document through email has experienced the frustration of running into size limits, either on their end or that of the recipient. With SmarterMail’s document management function, users can upload documents directly into their private file spaces and then embed download links to these documents in their email messages. The benefits of this feature include elimination of attachment limit issues, guaranteed delivery, and optional expiration dates for file links. Instant messaging. More than ever, getting in touch with your colleagues in real time is essential to a successful business. With SmarterMail’s instant messaging tools, you can strategize and collaborate with coworkers anywhere in the world using your existing desktop or mobile clients. Administrative tools. One of the most important aspects of an email server is the ease and access it grants its administrators. 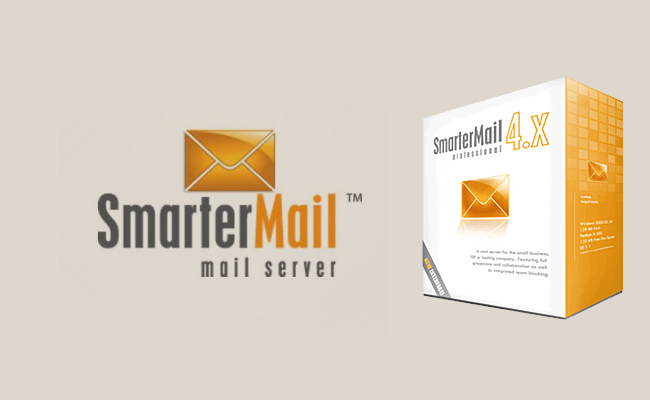 SmarterMail offers a web-based interface for system and domain administrators, allowing them to access their mail servers remotely from anywhere with an internet connection. Administrators can safely and efficiently perform maintenance and configuration; they can also utilize exposed web services to automate recurring tasks. Additional features include auto-discovery set up for new users, analytics tools, IPv6 support, statistical dashboards, easy interface customization, failover, prioritized email delivery and much more. Security features. When it comes to the information your company distributes through its email server, vulnerability to outside attacks needs to be nonexistent. Thanks to numerous antivirus enhancements, users can protect their mail servers from security breaches. These augmentations include IP administrator access restriction, active directory authentication, outgoing and incoming SSL/TLS connection support, intrusion detection (IDS), denial of service attack prevention (DOS), brute force detection, and malicious script identification. With additional features such as password rules, email quarantines, and built-in ClamAV Antivirus, you can trust SmarterMail to provide the highest levels of email server security. Product integration. When email interfaces don’t work well with third-party products, it makes integration a headache. For users wishing to tie their interfaces and products into SmarterMail, SmarterTools offers numerous integration models. Easy migration. From commonly-used email services such as Yahoo!, Gmail, or Outlook to mail servers such as MailEnable, iMail, and Merak, users can enjoy easy migration of single mailboxes or entire domains to SmarterMail. The quick and virtually seamless transition means more time and resources to devote to what matters most to your organization. Collaboration. To help keep you connected with employees, clients, and business partners, SmarterMail offers powerful collaboration tools that work with common email clients such as Outlook for Mac or Windows, Apple Mail, and various mobile devices. Do you need to coordinate calendars or schedules? With SmarterMail’s calendaring feature, you can customize your calendar view, organize tasks, set working hours, and auto-archive old calendar entries. Free busy schedulers and appointment invites help you work with contacts on multiple devices to arrange meeting times. Contact personalization and management, conference room allocation, device and application support, and email distribution lists are all additional features that help your business maximize its collaboration efforts. AccuWebHosting offers SmarterMail as part of our SmarterTools software bundle, which also includes SmarterStats Web & SEO Analytics and SmarterTrack helpdesk. Provided at no additional charge with any of our Windows VPS or Windows dedicated server hosting packages, these valuable tools represent an $800 value. As you weigh the possibility of adopting a new email server for your company, imagine how SmarterMail can help you increase security and productivity while reducing costs. Contact AccuWebHosting today for more information.